The Duke and Duchess of Cambridge will greet the public following the opening ceremony. 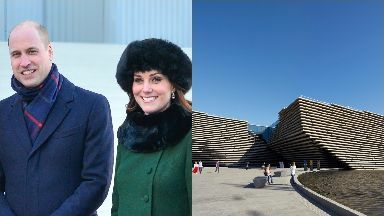 The Duke and Duchess of Cambridge will officially open V&A Dundee on Tuesday. Prince William and Kate are set to greet members of the public following an opening ceremony at the museum. The Duchess of Cambridge is the first Royal Patron of the V&A, continuing the museum's long-standing relationship with the Royal Family from the V&A's founding in 1852. Since the museum opened in September last year it has welcomed more than 380,000 visitors. Philip Long, director of V&A Dundee, said: "We are honoured to be welcoming the Duke and Duchess of Cambridge to officially open V&A Dundee. "This official opening marks the beginning of a very exciting year for V&A Dundee, with upcoming exhibitions on videogames, robots and the future of design. "Through an eclectic programme, we aim to inspire people and provoke discussion about the role of design in everyone's lives." Lord Lieutenant Ian Borthwick, Lord Provost of Dundee, said: "I am delighted to welcome the Duke and Duchess of Cambridge to V&A Dundee. 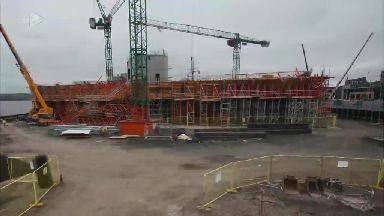 "This magnificent building is continuing to raise the city's global profile and celebrates Scotland's rich cultural heritage. 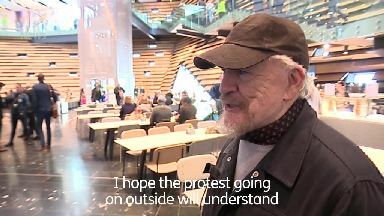 "Dundee is a UNESCO City of Design, a place where culture is helping to transform people's lives. This museum has had huge benefits for the people of Dundee. "It is continuing to bring tourism into our city, improve our reputation and create vitally important jobs." Designed by Japanese architect Kengo Kuma on the banks of the River Tay, the first V&A museum anywhere in the world outside London is the centrepiece of an ongoing £1bn regeneration of Dundee's waterfront. Costing around £80m the V&A is expected to attract half a million visitors every year.